Peter Mayle's account of his first year in Provence describes anything from the local cuisine, hilarious tips for wooing fickle French contractors, handicapping goat races, enduring winter's icy mistral and much more. A NYT Bestseller for three years! Who hasn't dreamed, on a mundane Monday or frustratingFriday, of chucking it all in and packing off to the south of France? Provençal cookbooks and guidebooks entice with provocatively fresh salads and azure skies, but is it really all Côtes-du-Rhône and fleur-de-lis? 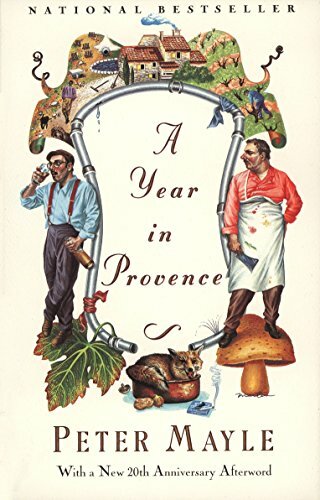 Author Peter Mayle answers that question with wit, warmth, and wicked candor in A Year in Provence, the chronicle of his own foray into Provençal domesticity.